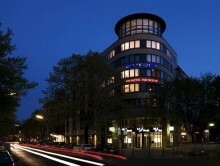 Scandic is increasing its presence in Germany by taking over the Alsterhof Hotel in Berlin. The hotel has 217 rooms, which have just undergone an extensive refurbishment costing EUR 8 million, and is strategically located close to all the shopping and entertainment of western Berlin. When Scandic takes over the hotel on 1 September, it will change its name to Scandic Berlin Kurfürstendamm.